Here on homify, we are crazy about prefabricated homes. For those of you who don’t know, prefabricated homes (often referred to as prefab homes or simply prefabs) are specialist dwelling types of prefabricated buildings, which are manufactured off-site in advance, usually in standard sections that can be easily shipped and assembled. They are a very cost-effective option for housing. With the ever-increasing emphasis on environmental-friendly design, the prefab market has been enjoying a great evolution. And as we will see today here on homify 360°, the prefabricated home can be just as drop-dead-gorgeous as any other home. 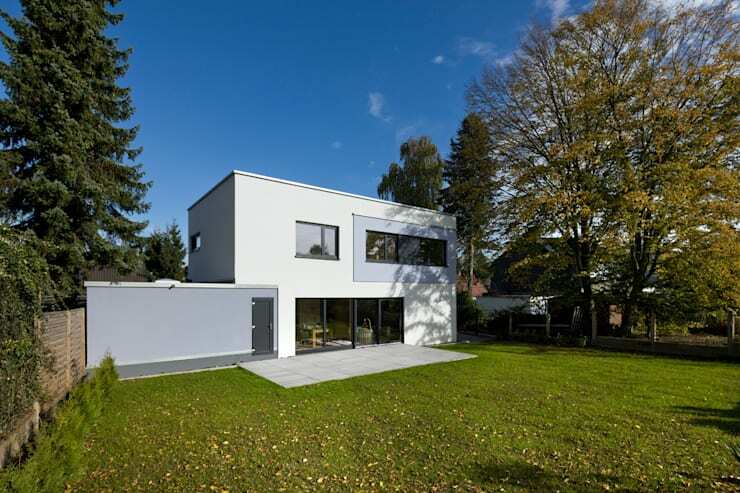 German professionals Puschmann Architektur is our specialist team of choice for today. Every prefab unit designed by them is modified to meet the requirements of the client. Construction takes around five months, and although the planning stages may be a little long, this is more than compensated for by the short installation period (about two days for basic construction and up to two weeks for weather-proofing the home). Known as a low-energy home, our star for today is made from renewable raw wood and boasts superb insulation qualities. Prefab homes (most often called modular units) really work best with block-like volumes. They are easy to construct, strong, and quick to install. Here we can see how the various masses of block-like shapes have been designed and twisted to create a very interesting facade. It presents a solid, family style presence, with that front Z-like shape adding massive visual interest to this house that is sure to make any passerby do a double take. Block-shaped or otherwise, homify has a fashionable range of houses just waiting to be explored. Be sure to take a look! Shifting our perspective ever so slightly, we get a closer look at the impressive entrance. Notice how calmly the whites of the house and muted blues of the garage flow together, creating a very soft colour contrast. Here we can also see how that unique Z-shape is adding a bit of shade to the front entrance. Adding a front garden to this house will be a piece of cake, seeing as there is already such a stunning backdrop of a house to work with! On to the interiors, and it is clear that our designers have been influenced by the Scandinavian style of design – a very hot trend, and with good reason! 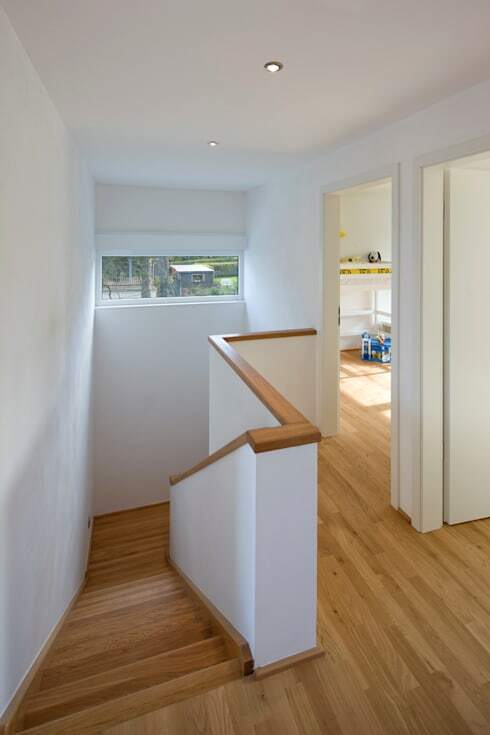 Here we have a good sense of how sandy timber has been used on the floors, staircase, and banister to add that warm, natural feel to the home. Lots of white tones and large windows add some supreme visual spaciousness to the interior. It is definitely safe to state that there is nothing drab about this factory-made interior. Want to learn more about the stunning Scandinavian style? See how to: Style Your Home Like A Scandinavian. What is the point of thinking small? 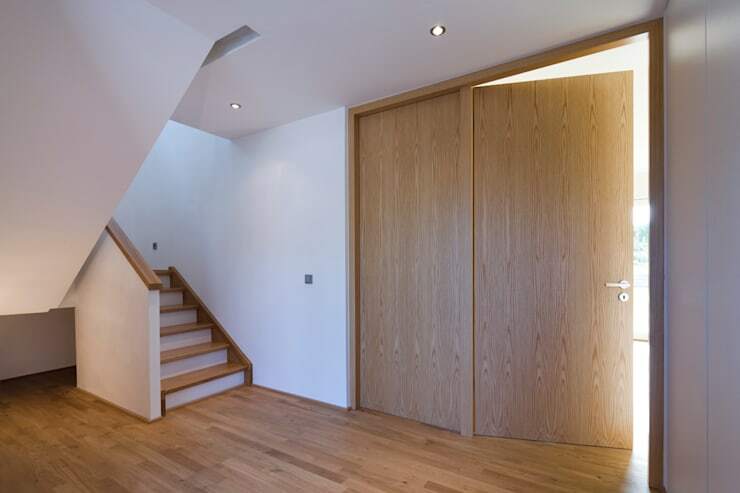 Our architects seem to agree, which is why they have opted for floor-to-ceiling length timber doors that add a very organic flair to the home. Since the interiors are adorned by such a clean and simple look in terms of colour, adding furniture and décor will prove to be very easy, as any additional colours will be most welcome (and striking) when combined with that soft white and golden timber. 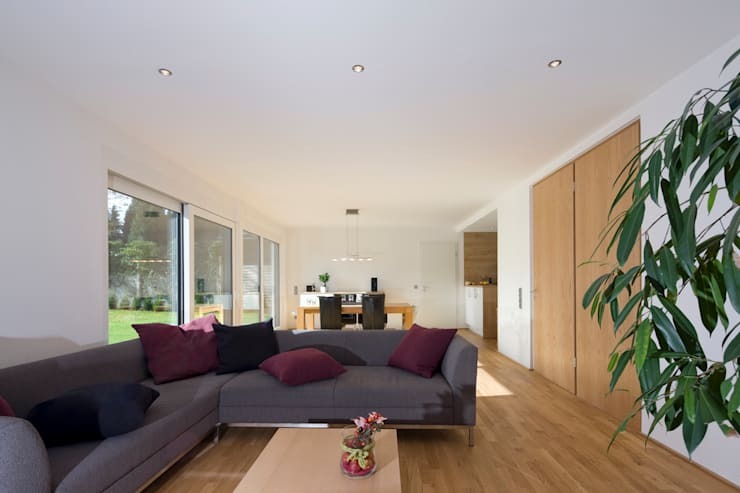 When it comes to modern living, simple and open-plan layouts rule king. Fortunately, prefabricated housing is very well suited to this kind of layout. Perhaps this is one of the reasons it has done so well in recent years in countries like Europe and USA. In this open plan living area we can see how this home has been designed to soak up all the natural light. 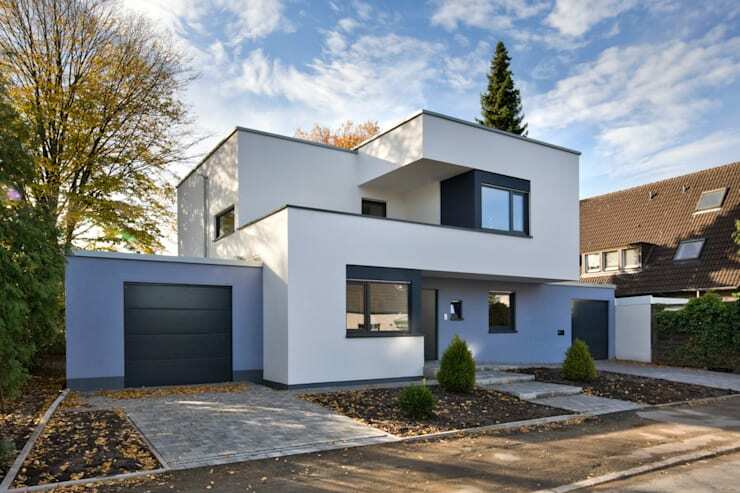 This particular home is situated in Germany, and as Europe is generally known as a country with harsh winters, it would make sense to opt for a residence that can make the most out of every last bit of sunlight entering the home. At last, we come to the rear of the property. Here we can see how the cubes and blocks that make up the front resolve into one, flat wall at the back. A series of floor-to-ceiling glass windows and doors have been installed to ensure that the interiors and exterior environment form a strong visual bond. We just love how the house has been designed with a stylish, but contained layout, and this is one of the prime reasons this home is so energy efficient. It doesn't require much energy to heat, and also easily cools down during the warm summer months. A fantastic layout that flaunts stylish interiors and a striking facade – what’s not to love?